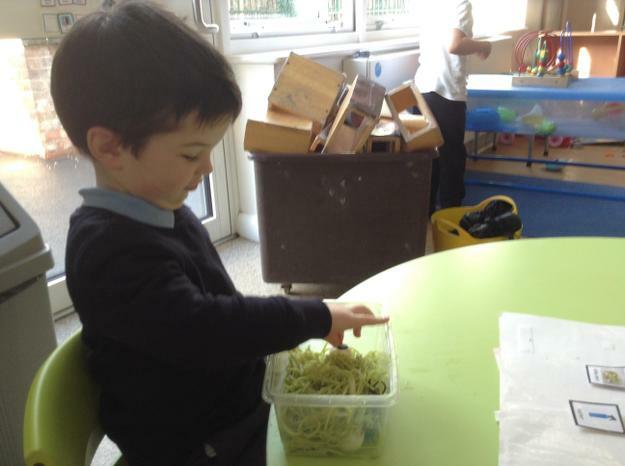 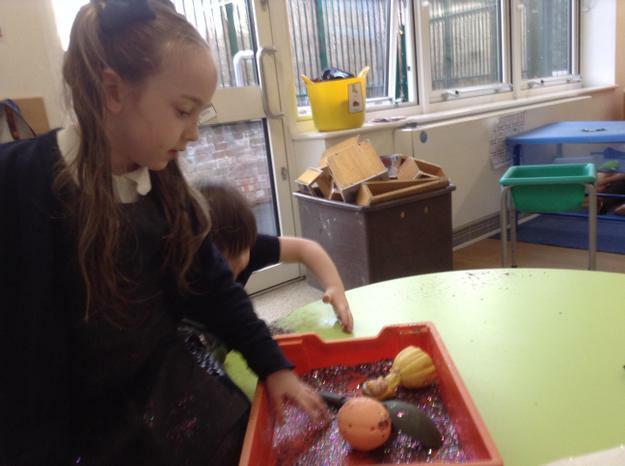 The children have continued to work really hard on their sensory development and engagement during interactive activities such as this. 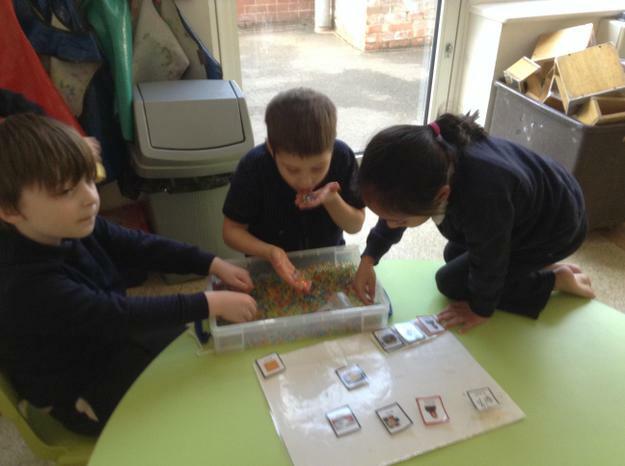 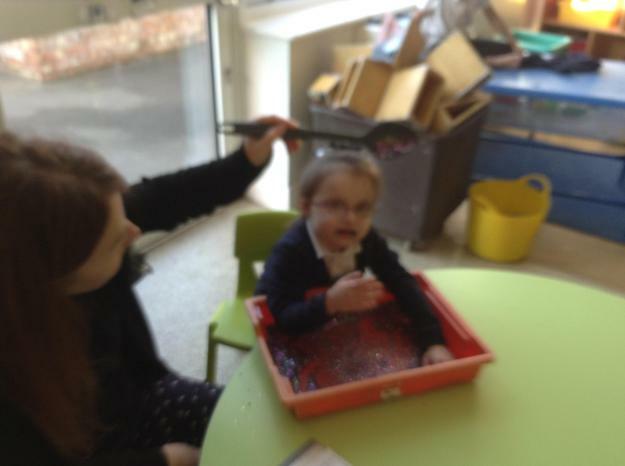 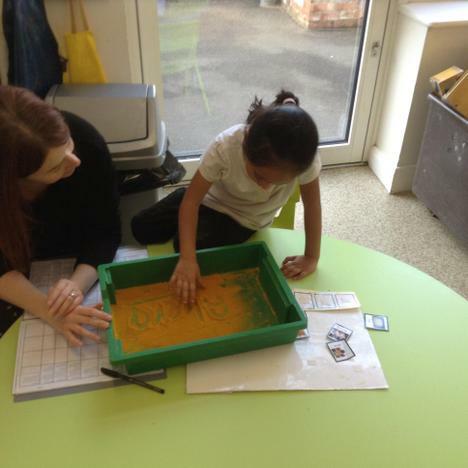 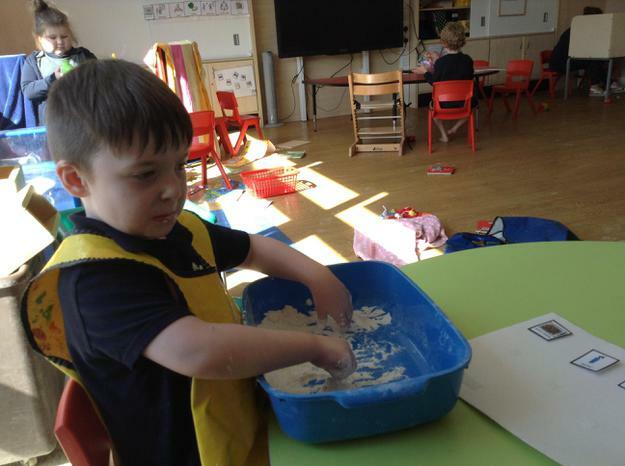 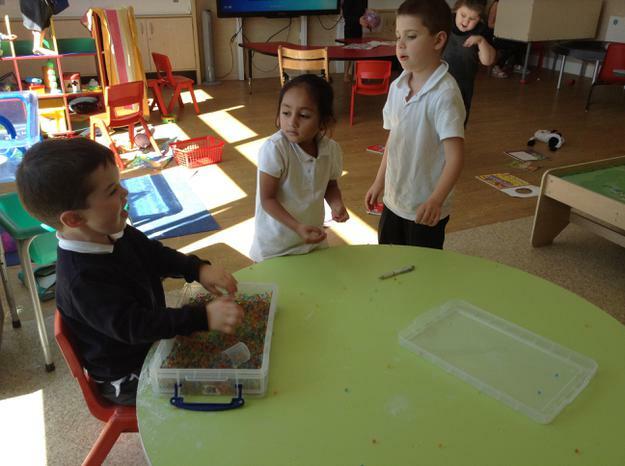 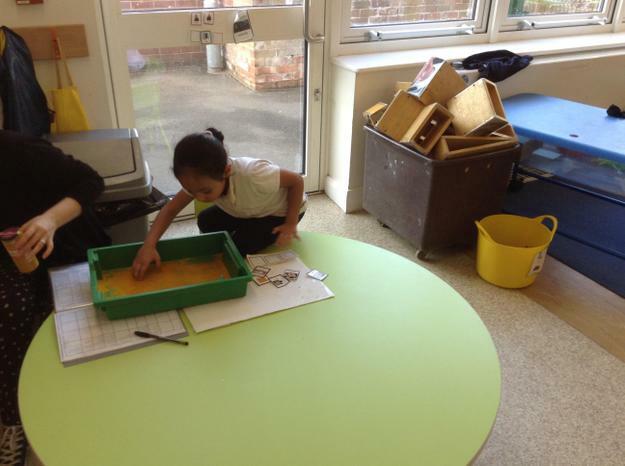 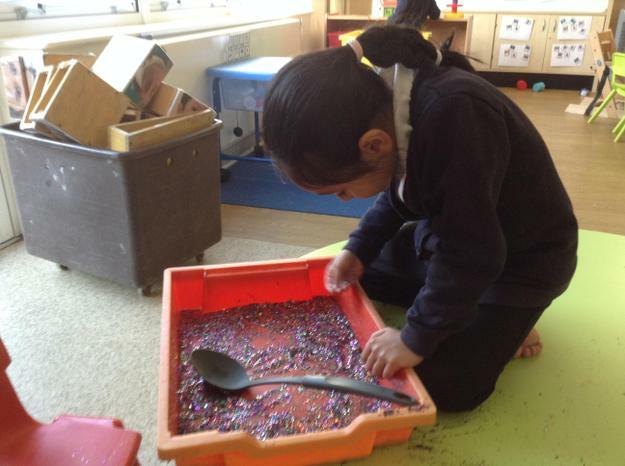 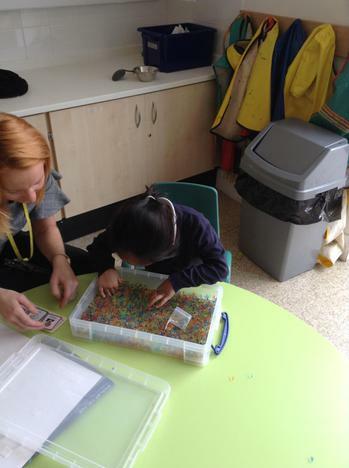 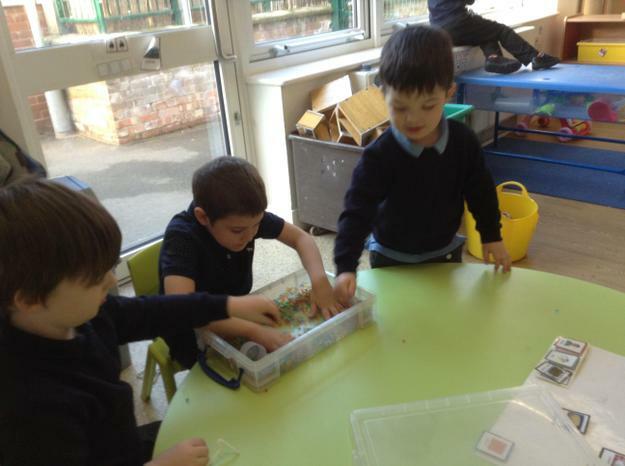 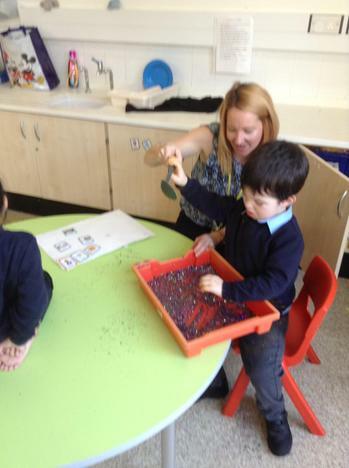 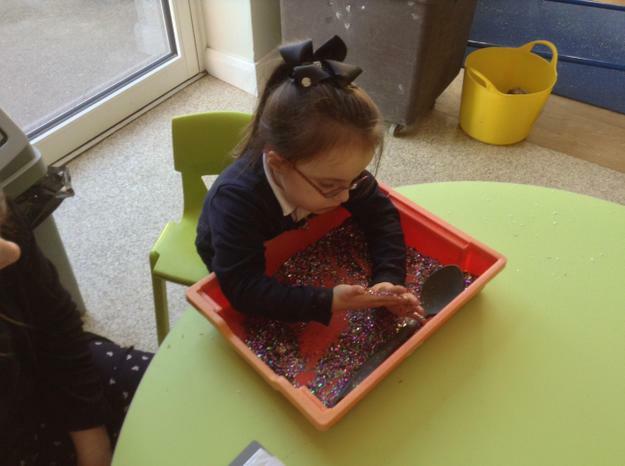 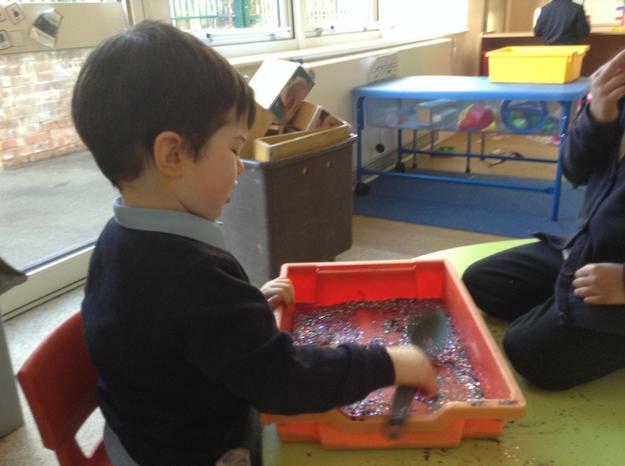 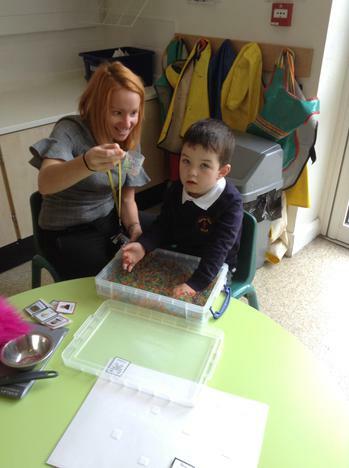 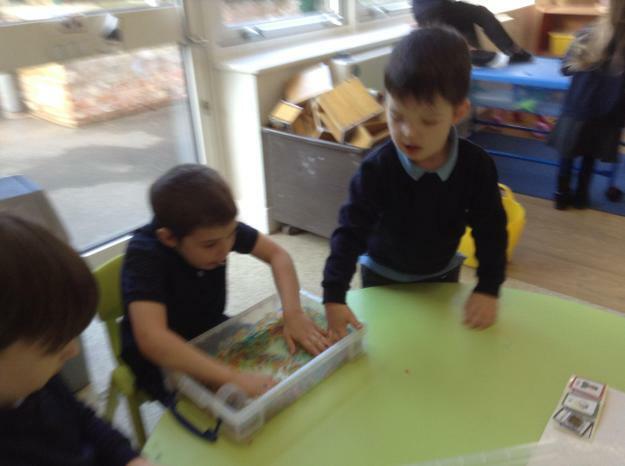 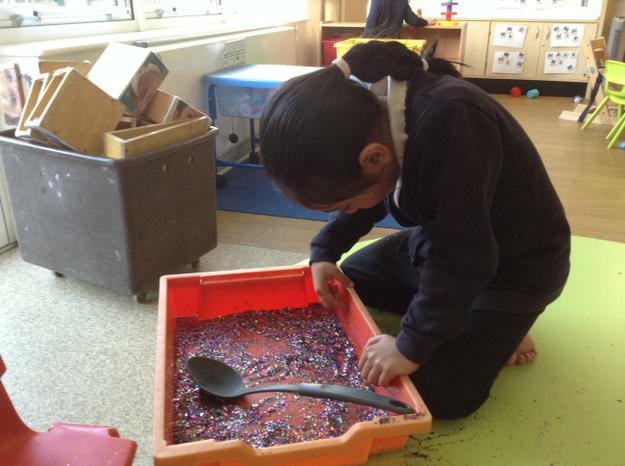 We have enjoyed topic based sensory exploration such as glitter, toffee and apples and paint and marbles during bonfire week, rice, spices, coconut and Mendhi patterns during Diwali week and cake mix, balloons, flour and bows and wrapping paper during birthdays week. 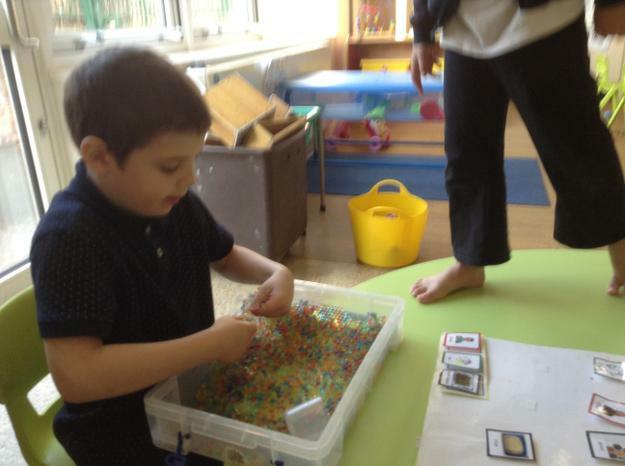 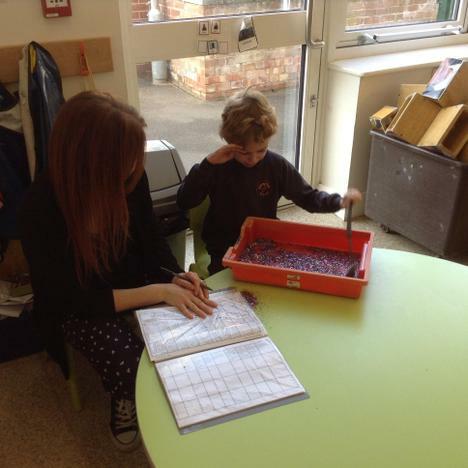 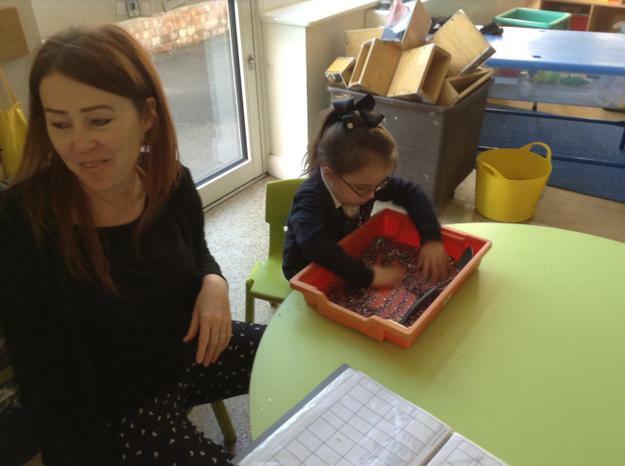 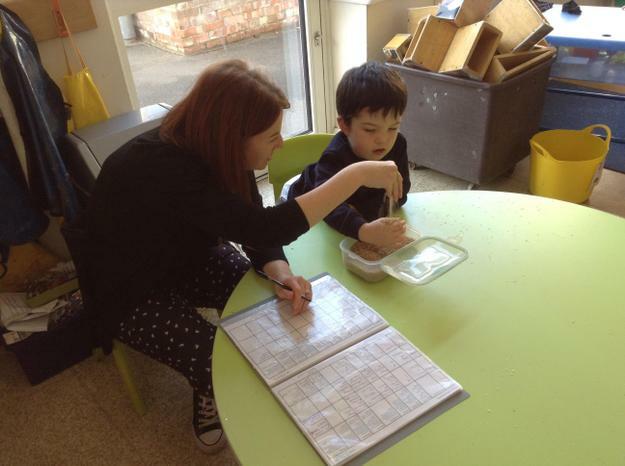 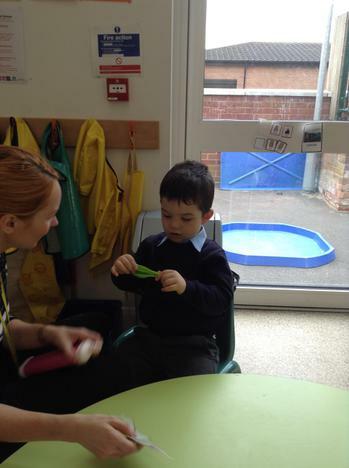 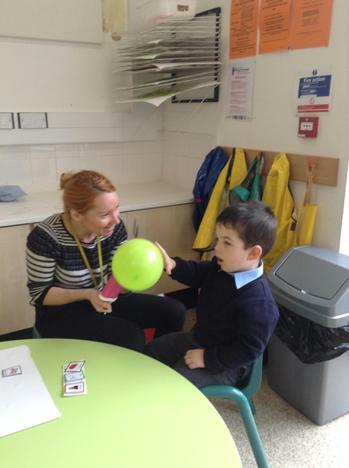 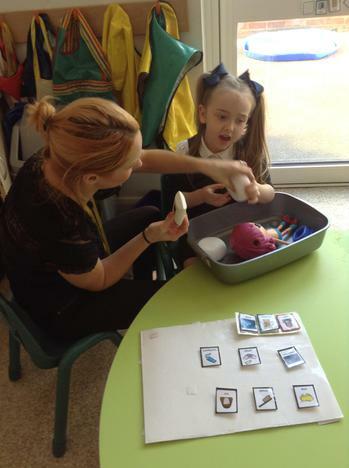 All of the children in Lime class enjoy a sensory activity every week that is focused on developing their engagement levels during adult led activities and their use of symbols to communicate. 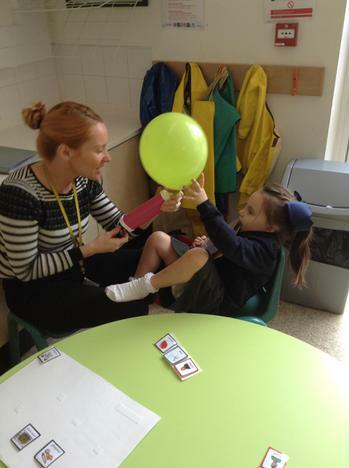 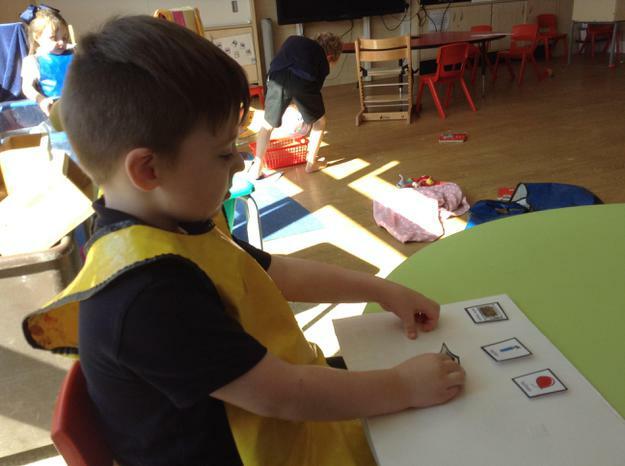 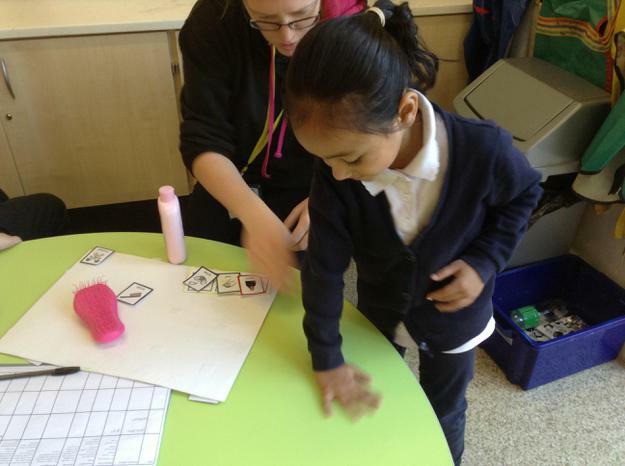 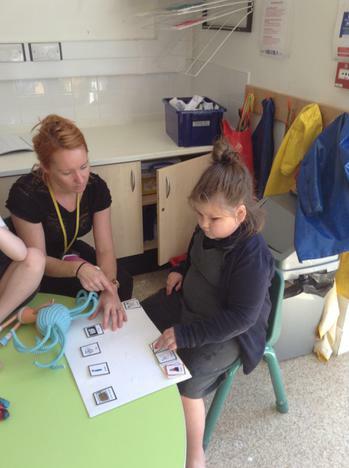 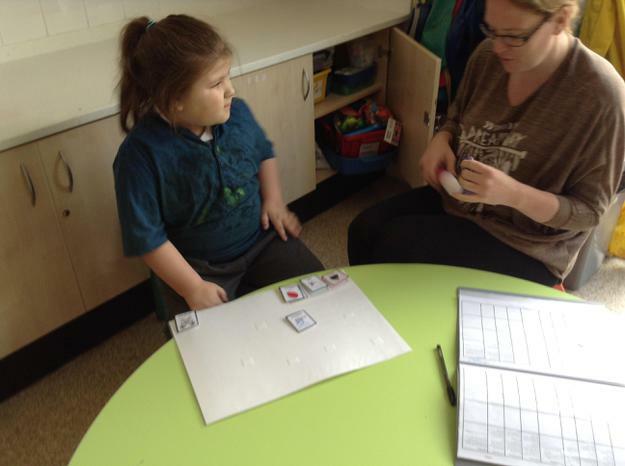 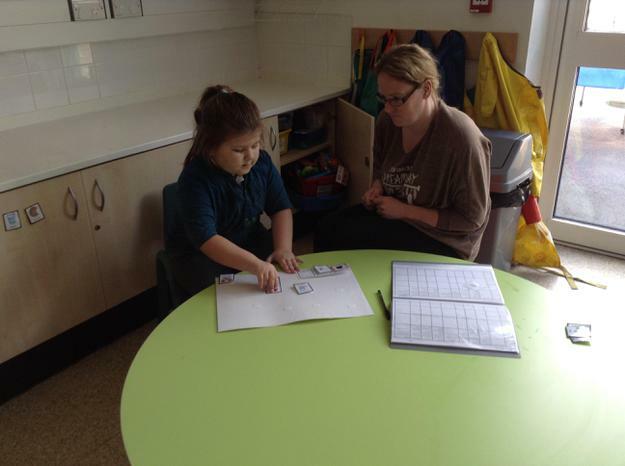 Symbols are used to model simple sentences such as 'Aleena blow bubbles' or 'David feel flour' and the children are encouraged to use these symbols independently to request more of an activity. 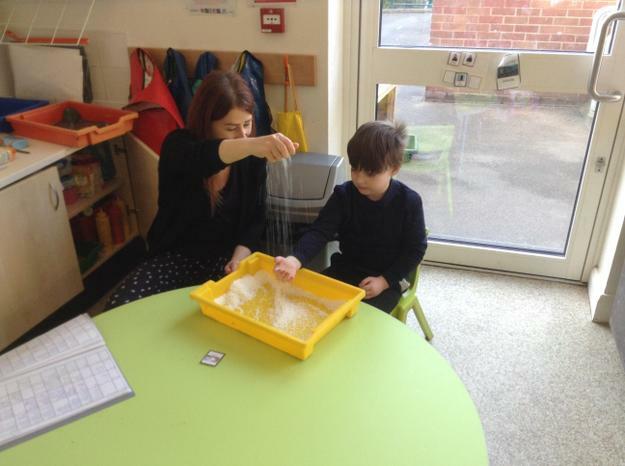 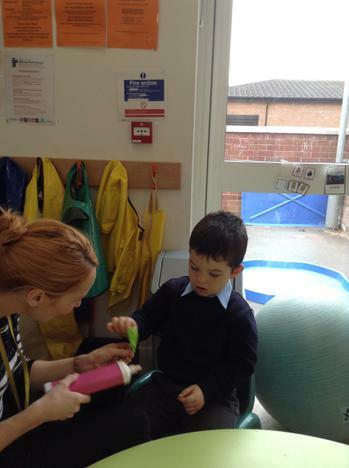 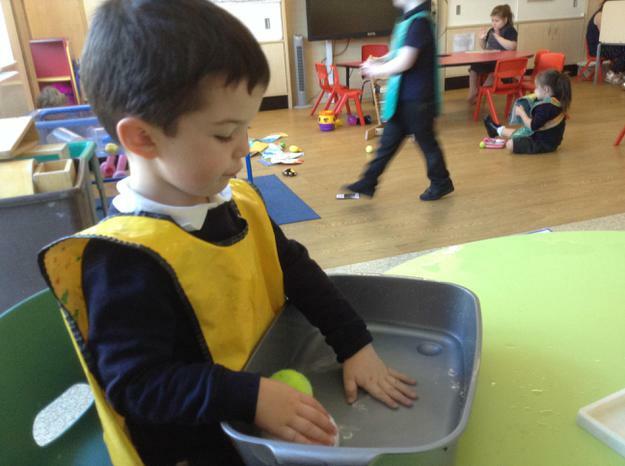 The session is designed to be fun and interactive and the children have enjoyed exploring flour, water, bubbles, balloons and water beads.